The "Secunderabad Railway Station" - Is the First Indian Railway Station To have Escalators and Lifts!! You are here: Home 2013 August The “Secunderabad Railway Station” – Is the First Indian Railway Station To have Escalators and Lifts!! 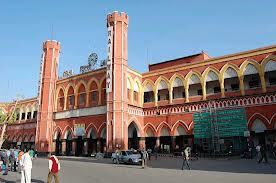 The “Secunderabad Railway Station” – Is the First Indian Railway Station To have Escalators and Lifts!! and ‘Lifts’ (capacity of each lift 20 persons) in the First Platform (No:1)and the Last Platform (No:10) at the rear-Bhoiguda Entrance. 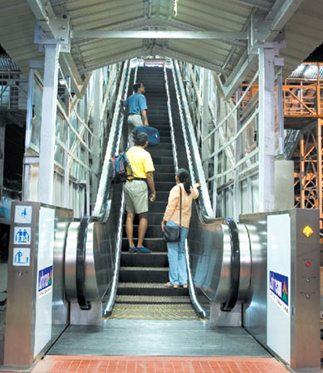 In the second week of August 2013, both the lifts and the 7th escalator in Platform No:4&5 have been commissioned. The total cost of the 7 escalators installed so far is Rs 6.6 Crores and the total cost of installing the 2 lifts is Rs 98 Lakhs. 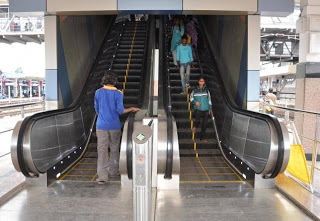 With the completion of the commissioning of all the escalators, the “Secunderabad Railway Station” will have the distinction of the “First Railway Station” in India to have ‘escalators’ in all the 10 platforms and ‘lifts’ in the first and the last platforms. 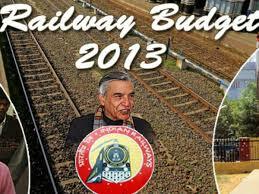 According to an estimate of the SCR, around 43000 persons are using the escalators per day and the escalators and lifts would facilitate easy and quick movement of passengers, especially the elderly, sick, and physically challenged persons from one platform to other. 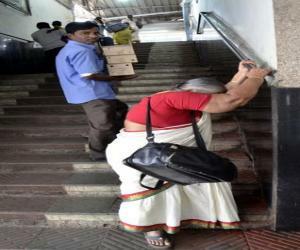 While it is a good news, the passengers of the Indian Railways expect the ‘Indian Railways’ to extend such ‘lift’ and ‘escalators’ facilities in all major stations. 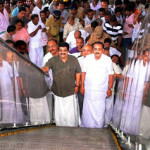 have been the only 2 railway stations provided with escalators. 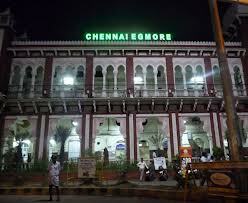 In Chennai “Egmore Railway Station”, there is a single escalator in ‘Platform No:1’. 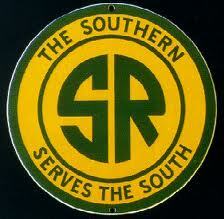 and that too is not in frequent use. Will the ‘Southern Railways’ take efforts to regulate continuous use of the existing ‘escalator’ and also provide ‘lifts’ and ‘escalators’ in all its 9 platforms soon? 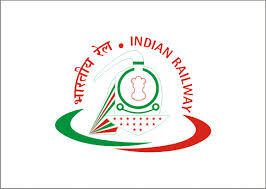 there is a proposal to make all the major railway stations in India ‘modern’ with facilities similar to those available in International‘airports’ in India. 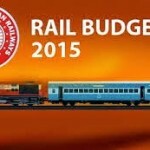 Will the Indian Railways Provide ‘Safe’ and ‘Hygienic’ Travel to the Passengers? 3 Responses to "The “Secunderabad Railway Station” – Is the First Indian Railway Station To have Escalators and Lifts!!" and strategic points in platform No. 1 of secunderabad railway station indicating the direction and location of passenger lifts and approximate distance from main entrance.